This week, Colorado is experiencing a clash of the seasons as the vibrant fall colors are now hidden under a fresh layer of snow in the first large snowstorm of the winter. There is an awakened excitement among the residents of Colorado who are now kicking it into gear to prepare for the ski season. Rental shops are flipping their inventory over from bikes and summer clothes to skis and snowboards. 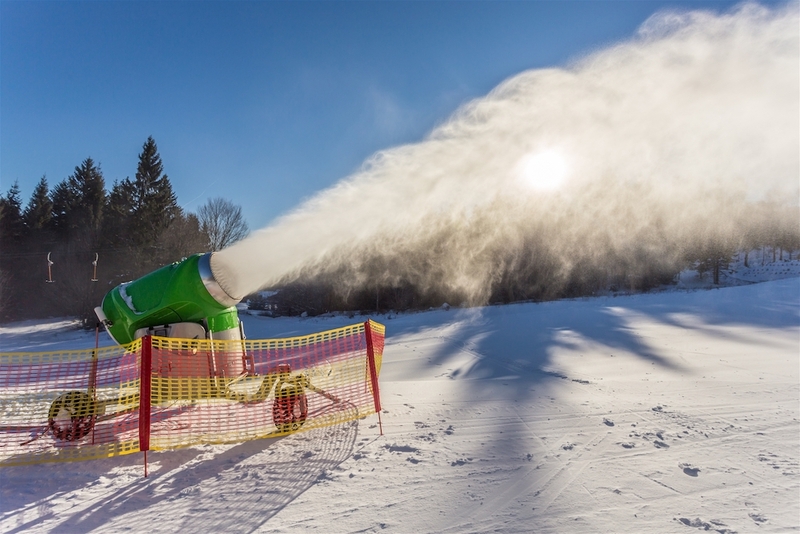 Ski resorts have been blowing snow at near capacity in preparation for the upcoming opening days (less than 10 days!!)... And if you listen carefully you’ll hear the locals plotting the day they can break their cross-country skis out of the closet to get a taste of those fresh tracks. If the update on snow in the mountains is news to you or you’re just as excited as we are, let us help get you ready for an epic winter! We are currently on an El Niño watch this 2018/2019 winter season, which could mean good things for our snow forecast. The Farmer’s Almanac is also predicting colder than normal temperatures and above average snowfall for the Colorado region, especially during Jan-Feb, with a high volume of storms in March as well. The countdown begins now! Here’s the list of projected Colorado Ski Resort Opening Days for the 2018/2019 season. Dates subject to change. Passes are still on sale, so you haven’t missed out yet. A rule of thumb is if you plan to ski 4 or more days in a season, it is worth it to purchase a season pass to get the most out of your money and explore new mountains while you’re at it! The two big players in the ski industry are the Epic Pass (Vail Resorts) and its new competitor, the Ikon Pass (Alterra Mountain Company), who has been snatching up resorts at prime ski destinations across the United States and Canada. The choice is difficult, but you can do this! Epic Pass - If you are a Colorado Front Ranger who frequents the Summit County ski resorts such as Breckenridge, Keystone, Arapahoe Basin or takes weekend trips to Vail and Beaver Creek, this is the pass for you. Epic also includes unlimited access to Park City, Utah and new additions include unlimited access to Crested Butte, CO and Whistler Blackcomb, Canada, 7 days to Telluride, CO, and 7 days to Resorts of the Canadian Rockies with no blackout dates. There are 65 resorts across the U.S., Canada, Europe, Australia and Japan now included on the Epic Pass so you have tons of opportunity to explore a new mountain every weekend, and even new countries for that hard-earned week off of work. Another plus to the Epic Pass is it has about 10 different options and price points including the Epic Local, Keystone/A-Basin Pass, Summit Value Pass for those only interested in skiing their selected few resorts, or even planning a 2019 summer (Southern Winter) in Australia! *Resort access differs between Epic Pass options. Other Passes Cost: Summit Value ($569 adults, $459 teen ages 13-18, $329 kids ages 5-12) and Keystone-Arapahoe ($369 adults, $269 kids ages 5-12). Ikon Pass - These people just came in and knocked our world upside down as they have presented us with a pass to those resorts we’ve had on our bucket list for years. If you enjoy skiing Copper Mountain, Steamboat and Winter Park, you are now going to be very interested in the Ikon Pass as these resorts are now part of it as well as access to Aspen Snowmass and Eldora. 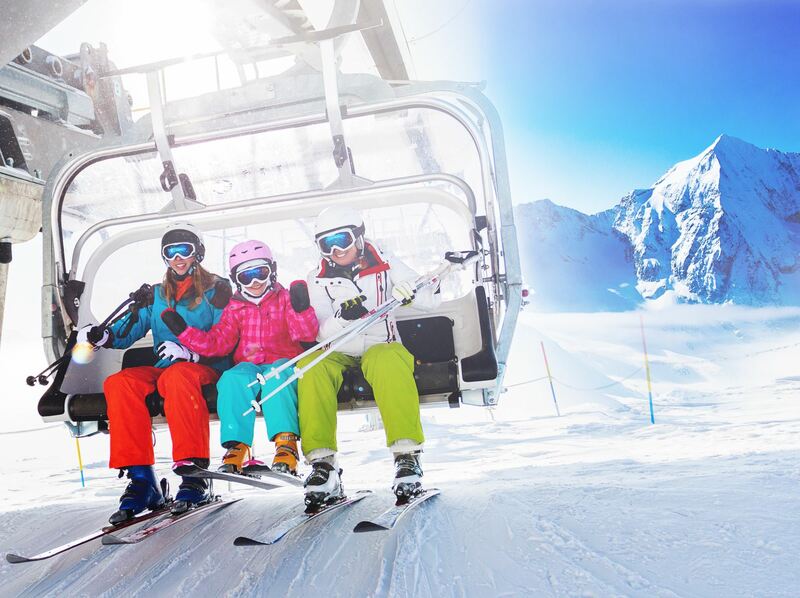 In addition to unlimited skiing at these three resorts, you will also have days at Jackson Hole, Wyoming; Mammoth Mountain (unlimited), Big Bear (unlimited), Squaw Valley (unlimited) and June Mountain (unlimited) in California; Tremblant, Quebec and Blue Mountain, Ontario in Canada. The Ikon is an excellent competitor for those with the time to chase storms, explore new territory, or continue enjoying Copper, Winter Park and Steamboat with some added perks. Arapahoe Basin’s New Quad and Terrain Opening for 2018/2019 Season! : A-Basin has been busy blowing snow and building an all-new quad chair with access to 34 new intermediate and expert terrain runs on Beavers and the Steep Gullies. When skiing down the Steep Gullies, skiers must hike out about 20-30 minutes back to the Pali (Pallavicini) lift. 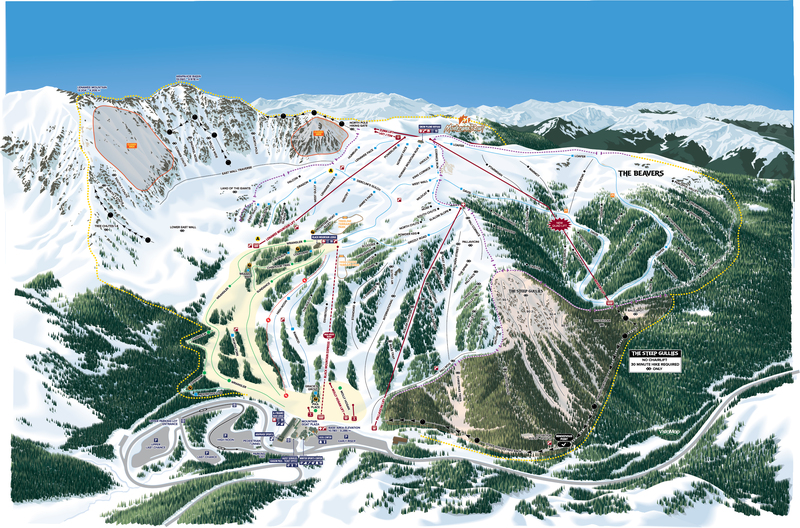 View the updated A-Basin Ski Resort map here. New American Eagle and Flyer Lifts at Copper Mountain for the 2018/2019 Season: Copper Mountain is in the process of installing two new lifts in Center Village. The Flyer Lift is being replaced with a 6 person, high speed bubble chair, and the Eagle Lift will be a combination high speed 6 person chair and 8 person gondola. Get on the snow faster this year! These lifts will increase uphill capacity by 33% - 40%+. If you haven't visited Copper since the last snow, be sure to check out the Rocky Mountain Coaster. This alpine slide operates year round; at 5,800 feet long it's one of the longest in North America. Learn more about Copper Mountain's latest improvements here.